Mon - Sat 9:00 a.m. 7:00 p.m. 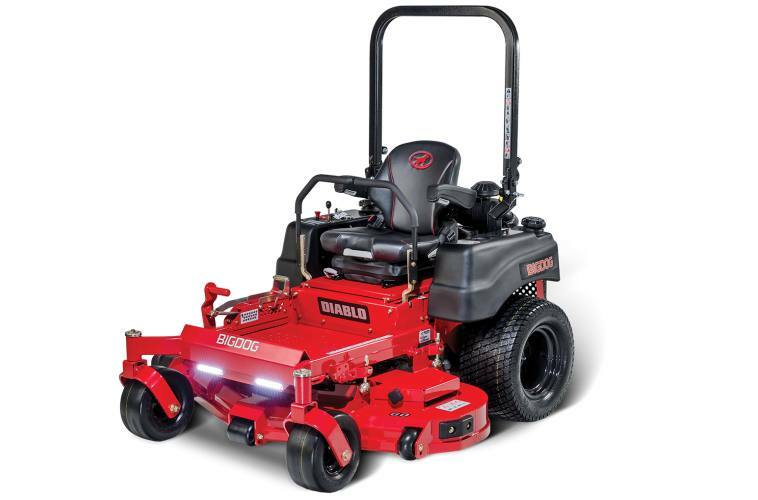 Built for speed and ready to work, the Diablo boasts a top speed of 10mph and a perfect cut every time. Powered with the Kawasaki FX Engine or the Kohler EFIs. Commercial grade heavy-duty unitized 12cc pump transmission by Parker. Welded steel frame and optimized center of gravity produce speed gives you the efficiency for the job! Cutting Height: 1" to 5"
Overall Width (with discharge chute up): 56"
DFS Clamshell Catcher: Easy-on, easy-off blower and hopper assemblies. 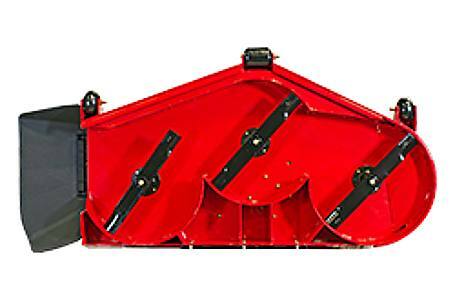 The BacVac catcher holds 10 bushels and utilizes an electric actuated dump.